Bodilight provide a range of eyelash and brow treatments to enhance your eyes natural beauty. Popular eye treatments include our Nouveau Semi Permanent Lash extensions which give longer, thicker natural looking lashes that look great 24/7 and last up to 3 weeks. They are virtually weightless and comfortable to wear and because they are darker than your natural lashes, they eliminate the need for mascara, so no more smudges, clumpy lashes or irritating flakes. LVL is a lash lift, volume and length enhancing treatment. Unlike a traditional lash perm, LVL lifts your natural lashes at the root, creating the appearance of longer, thicker lashes. Plus an added lash tint creates a mascara-style effect, so your lashes are perfect from the moment you wake up. No extensions, no adhesive and no need for mascara! 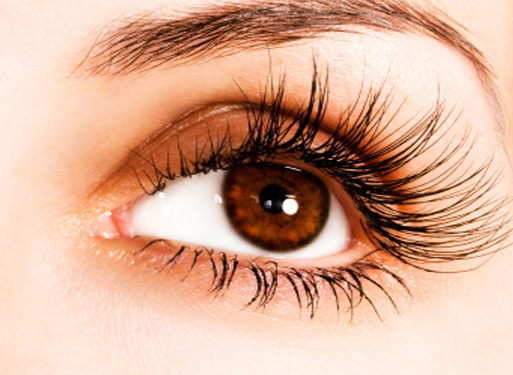 Our experienced lash technicians also provide La La Express lashes, Party lashes and Eyelash Tinting and Perming, so we are confident that there is something for everyone to make your eyes stand out. What are Nouveau Semi-Permanent Eyelash Extensions? Lash Extensions are individually applied to your natural lashes and come in different lengths and thicknesses. They will make your lashes appear longer and fuller enhancing your eyes. How long does the application process take and is it painful? The initial application takes approximately 90 minutes and is not at all painful. During the application of your Lash Extensions you are required to lay down with your eyes closed and some consider it to be one of the most relaxing beauty treatments. The maintenance procedure takes 45-60 minutes. The natural lash cycle is 45-90 days and the lash extension will fall out with the natural lash it is applied to. It is also quite normal to lose a lash extension which is placed on an older lash. With regular maintenance every 2-3 weeks and by following the aftercare advice your lash extensions will look fabulous indefinitely. We use an odourless medical grade adhesive for sensitive eyes which does not come into contact with the skin or eyes. The only substance that may cause reactions is the adhesive on the medical tape, (these clients are normally allergic to plasters). The medical tape is our second option used to seal down the lower lashes if the anti-wrinkle pads are not sufficient. Please remove all mascara before arriving for your appointment. If you wear contact lenses, these will need to be removed for the duration of the treatment. To ensure your Nouveau Lashes are long lasting and stay beautiful, proper care and maintenance are required. Avoid getting your Lashes wet for the remainder of the day. Do not steam face, use steam bath, swim or wash face with hot water for the first 48 hours. Do not use waterproof mascara, mascara remover or any oil based products on your Lashes as this will affect the bonding. If you wish to use mascara only use a water based product. Do not use an eyelash curler as it will break both the Lash Extensions and your natural lashes. Do not rub eyes or Lash Extensions when washing face. Gently pat lashes dry after cleansing and avoid using cotton wool. Due to the life cycle of a lash being around 90 days we recommend a maintenance appointment every 2-3 weeks to ensure maximum fullness. Not following correct aftercare can cause premature loss of lashes. LVL straightens your natural eyelashes at the root, so unlike a traditional lash perm it creates the effect of longer, lifted lashes. They’ll stay that way for six to eight weeks, with the correct after. The results are immediate, plus the added lash tint creates a mascara-type effect so you are always ready to go. How long does LVL take? Ideal for those seeking a more natural look, the LVL treatment can take as little as 45 minutes but the effects are instant. How long will LVL last? Your natural lashes will promote the benefit of LVL Enhance for up to 6-8 weeks. Little maintenance is required once you leave the salon, however correct use of aftercare can enhance the treatments longevity. Rest assured the gentle product formulations are carefully manufactured and tested to prevent any damage to your natural lashes. What does LVL look like? Here you’ll find some of the wonderful things people have said concerning our Milton Keynes Lash Extensions. I have been having eyelash extensions for several months now and i am absolutely delighted with the results. I now have the naturally beautiful long eyelashes that I've always wished for, without the hassle, discomfort or obvious presence of false strips. They are so easy to maintain and best of all, it's just so relaxing having them done. Suffice to say, my eyelash extensions are now a staple part of my beauty regime. I love my lash extensions. I am totally addicted and feel completely naked without them. I would recommend to everyone! Consultation and treatment can be carried out on the same day. Nouveau lashes are resistant to water, sweat, tears, swimming and even sleeping. Bodilight have a range of traditional beauty treatments to suit everyone, men and women alike. Below you’ll find a selection of the cutting edge treatments we offer. Click on any one of the images below to find out more.